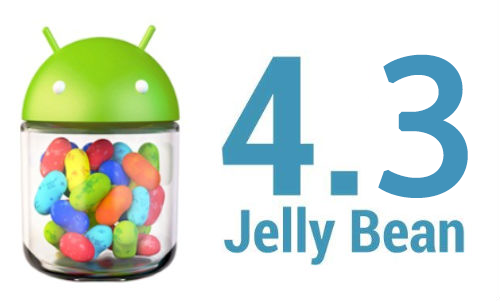 For giving you better Android experience, 4.3 jelly bean, is available even for Nexus phones and tablets. 4.3 is the latest mobile operating system update by Google. There are lots of new features added to add to user experience. Its Bluetooth smart support makes Android ready for a whole new class of mobile apps that connect to fitness sensors. Sound system is also improved so that you can enjoy high quality sound on Nexus 7 and other Nexus devices. Still there is a lot more to introduce with, it is hereunder, just keep reading this post. To facilitate you far beyond than what you can expect, auto complete dial pad facility is on your way. Once you will start pressing numbers, dial pad will suggest you phone numbers or names you want to dial. To activate this feature, you just need to open your phone app settings and enable Dial pad autocomplete. Android 4.3 jelly bean now supports latest version of the industry standard for high performance graphics. An improve algorithm for tap-typing recognition is installed to make text input easier. One noticeable thing is its lower latency input for gamepad buttons and joysticks. Another feature added is location detection via Wi-Fi. With its restricted profiles, you can put your tablet into a mode with limited access to apps and content. Its setup wizard simplification is admirable. It makes getting started on android ever easier. User switching is faster and there is enhanced photo daydream to help you navigating through interesting albums. The 4.3 jelly bean, is just improved on speed and loaded with redesigned camera app. You can easily switch between apps with its excellent performance. Previous ArticleWhy Sony Xperia M Is Your Choice?